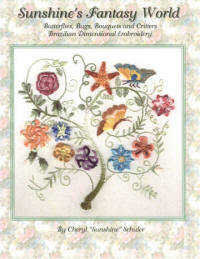 An intermediate – advanced level Brazilian Embroidery design. 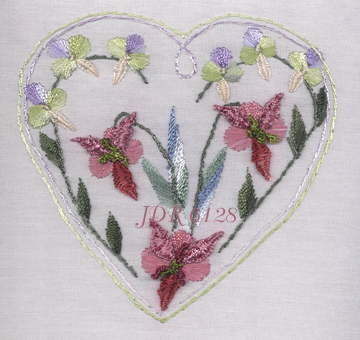 Stitches used in this design: Stitches used in this design: Stem stitch, straight stitch, French knot, alternating satin stitch, satin, cast-on drizzle, double cast-on over needles. 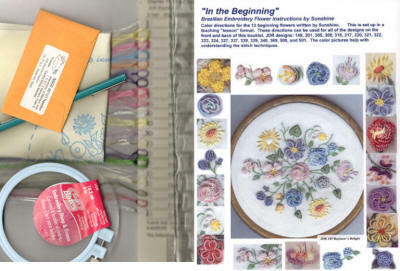 There are complete instructions for the alternating satin stitch, cast-on drizzle and the double cast-on stitch over spacer needles. The directions assume you have the basic knowledge of the following stitches: stem stitch, straight stitch, French knot and satin stitches. JDR6128 (11) $20.90 How Many?